T-Shirt or Theme Quilts Make Wonderful Unique Gifts. Do you have a lot of t-shirts that are not being worn, but you can't throw away? 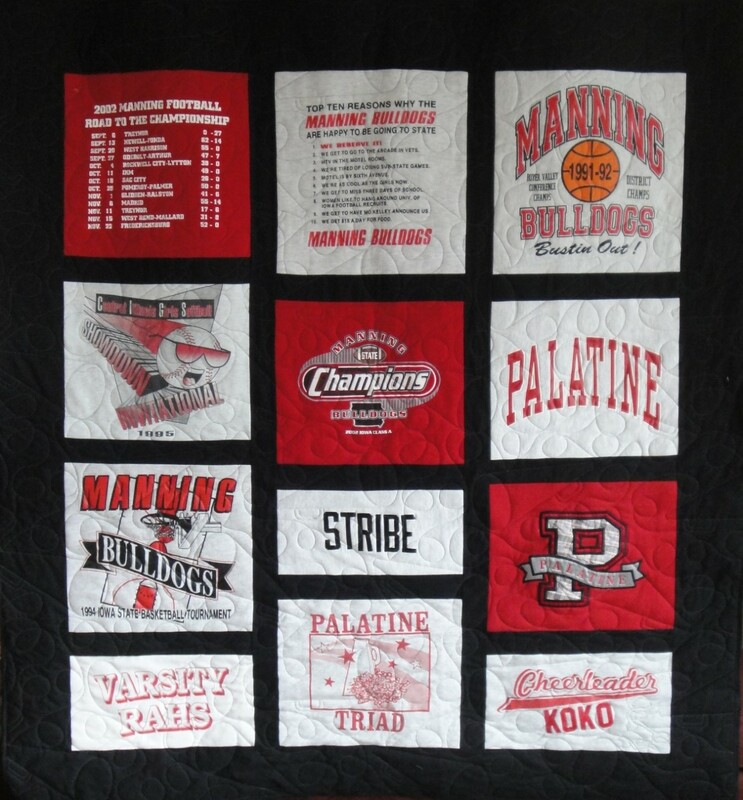 Have them made into a t-shirt quilt that can preserve the memories of high school, college or other events such as: Fraternity, Sorority, Hunting, Fishing, Sports, Motorcycle, Music Festivals or Concerts, Vacations. 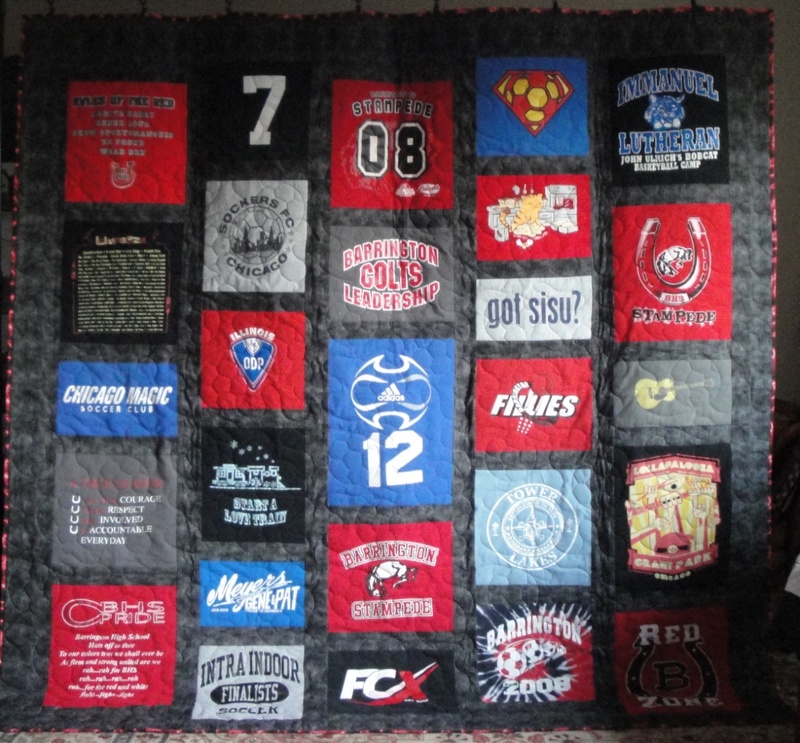 Custom T-Shirt quilts are a great way to capture memories that will last a lifetime. It will be a one of a kind treasure. I am happy to construct T-Shirt and theme quilts on consignment from start to finish. 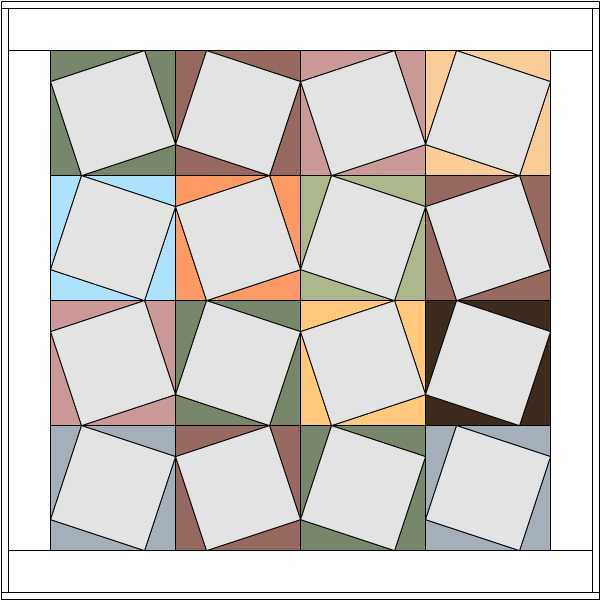 The overall size of the quilt depends on how many T-shirts you are trying to incorporate into it. There is no minimum or maximum number of shirts you can use. It all depends on how big you want the end result to be and what the intended use is. 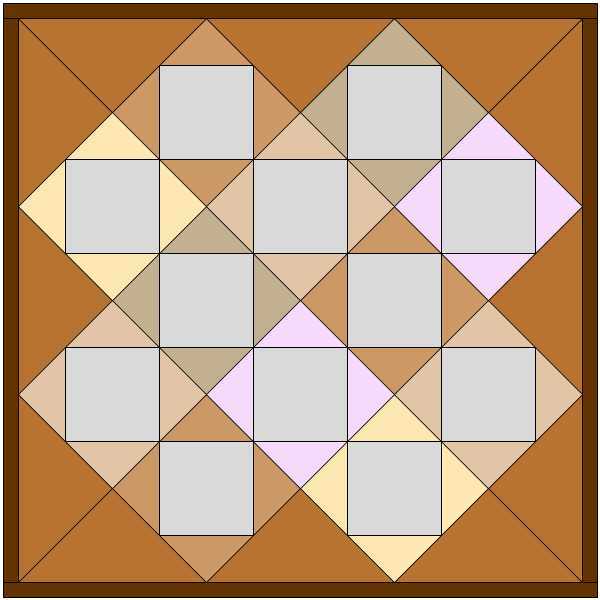 Will it be a bed quilt? Will it be a wall hanging? Will it be a throw or lap covering? Will you be including sweatshirts (as these make the finished item heavier)? All these things need to be considered. Throw sizes make nice wall hangings. 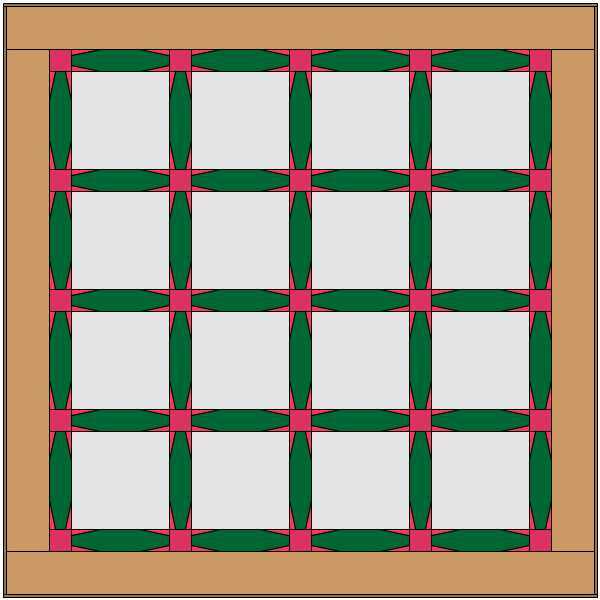 The following is for a Traditional Layout with sashing between shirts and a 4" outer border. Please note all sizes are approximate as these are custom items and may vary. I do require a $100. Deposit when I accept your order with the balance due upon completion. I accept Credit Card via PayPal (2% processing fee), personal check and cash. I am happy to help you with this special project.